It was on Twitter that an esteemed Catalonia-based “follower” introduced me to the sounds of the mighty Pegasvs, a two – piece electronic “combo” from that part of the world that sometimes likes to declare that it “is not Spain“. But far from espousing Catalan nationalism (neither member of the band is actually from Barcelona: singer Luciana is from Argentina while producer Sergio is originally from Asturias) the sounds of Krautrock-y melodic discord (dischord? 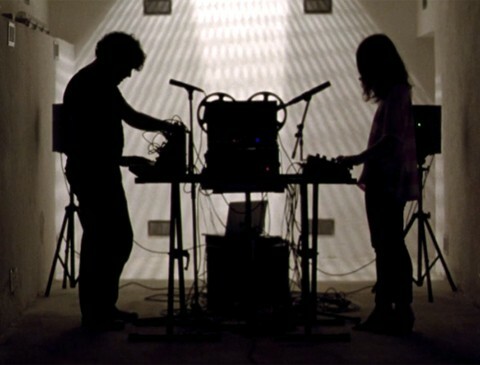 ), the experimental noise of the Radiophonic Workshop and the likeable drone of early Stereolab appear to be the influences of this listener can discern from their excellent eponymous debut album which was released on iTunes at a dirt-cheap recession-friendly price that propelled it into the iTunes top 3 downloads that week. The likes of The Quietus, Frenchbloke, Soundhog and venerable Mixclouder Mixless have sung the band’s praises since hearing this sonic slice of excitement since it came out earlier this year. But don’t just take my word for it, you can stream the whole album here. If you like it, why not (gasp) buy it here, on vinyl and freshly old-school CD. I’m sure Peelie would have loved ’em.